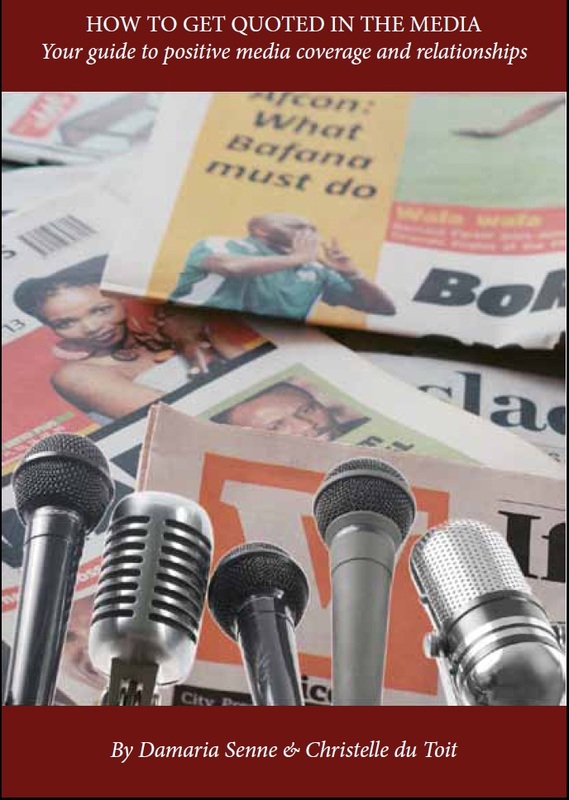 STORYPOT: Does Promoting An Ebook Through Traditional Media Like Radio, TV And Newspapers Work? Does Promoting An Ebook Through Traditional Media Like Radio, TV And Newspapers Work? This post is part of the Online Marketing Symposium. 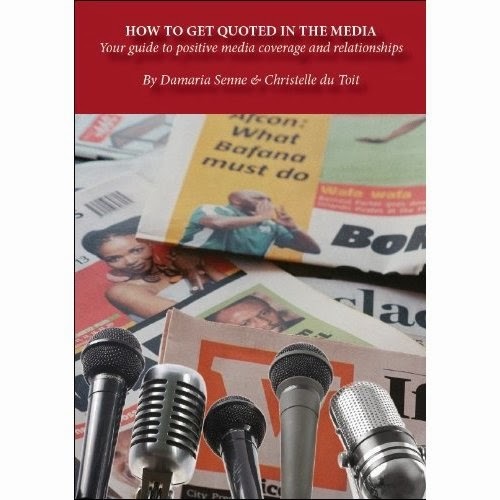 In October of 2011, my friend Christelle Du Toit and I launched an ebook entitled "How To Get Quoted In The Media." We co-wrote and published the ebook through my media company, Damaria Senne Media. The ebook was the second book to come out through the company, so we had no track record to stand on. We also felt that our media campaign had to demonstrate the knowledge and skills that we were passing along through the ebook. It would have been very odd if a book on how to get quoted in the media failed to garner media attention, don't you think? Did we have a story - Right from the beginning, we acknowledged that the launch of the ebook was not a traditional news story. . The harsh truth was that two "not famous" authors were self-publishing an ebook on Amazon. No one was dead or bleeding. There were no multimillion dollar contracts or famous business people involved in the enterprise. And there was not even a hint of corruption or scandal associated with the book. Even in terms of book news we still rated a bit on the potentially dull side: this was not a book by Donald Trump or another celebrity businessperson. We were not promising that anyone would make millions from following the book. The book was not being published by a well-known publisher like Macmillan or Penguin, after offering the authors millions in advances. This was no sequel to a bestseller. What we did offer- Christelle and I we were offering to share something that journalists rarely bother to communicate to people who are asking for publicity. Usually they just ignore you if your pitch doesn't hit the mark. But we knew journalists are always desperate for stories; we just had to find the ones who thought our little tale was relevant and then present it in a way that would pique their interest. Our joint work experience also included working as communications people for large organisations, non-profit organisations and small companies. So we understood the issues from both sides. I also have a fairly decent reputation as a communications specialist in the national non-profit sector, so there was no doubt that they would be interested in what I had to say. Why should I care? Years ago, Christelle and I used to sit next to each other in a newsroom, and we used to have heated discussions about whether something was a story or not, to help each other brainstorm our story ideas. And that was on story pitches that we had already identified as having potential, with press releases and fact sheets attached. What we needed to establish through this process was, did this event/product/service offer our readers something new that could potentially affect the way they do business? Could it improve their lives in any way? Most of the time, new products/services being launched fell under what Christelle liked to call, "much of a muchness" meaning, the new, supposedly innovative whatsit was so similar to what's already in the market that it was difficult to distinguish between them. In terms of How to get quoted in the media, we were trully offering people information that was not available elsewhere? Honestly? No. Hire a good media relations person and they'll tell you what we say in the ebook. You could also buy a print cover book that covers media relations. What was different about us was the way we framed the information: short and to the point. And we were blatantly anti-press releases, though we did show readers how to do it if they must/if it works for their particular scenario. We also asked ourselves why each journalist we approached would care about our story and what we were offering. What angle would work best for them? The aim was to do as much of the initial thinking for them as possible, so they see the fit right from the start and just say "yes" or "no" if we missed. Communicating with the media - Instead of sending a press release, we did an individual email pitch to every journo who we thought might be interested in the story. As a business journalist who has ignored too many press releases, and complained/listened to fellow-journalists complain about press releases cluttering their inboxes, sending one was unthinkable. [And yes, there are instances where a press release is appropriate. This was not one of those times]. Offered 5 free copies of the ebook as give-aways to listeners/readers. We also explained that this was a one-time communique and we were not going to bug them about it. We knew from experience that it can be irritating to receive calls from people asking if you received their press release, and if so, if you've had time to consider running their story. One of my very grumpy former colleagues used to say that if your press release offered anything interesting, she would have been banging on your door already, begging you to tell her more. The reason you hadn't heard from her was because a) she saw your press release but the heading was so dull she didn't even bother to open your email, or b) she opened your email and didn't like the story. Either way, she was not interested. The majority of the journos we contacted asked us to send them more information about the ebook,the launch and the book's availability. This resulted in a number of short telephonic radio interviews, some short news articles mentioning the ebook and one studio interview (radio). For example, the person may be listening to you on radio speak about your ebook while she's driving to a meeting. How is she then supposed to note the name of your book, your contact details and/your website details? And if she tried to commit them to memory while she drives, when is she going to write them down? Just before her meeting? So while we were able to use these media to demonstrate some of the lessons we were teaching in the ebook, I would be hesitant to attempt a similar campaign for one of my children's books, also published through Amazon. Instead, the majority of my media campaign would focus on online media, which allows people to easily click through to buy the book, or to bookmark the site, with a print, radio and TV being used to just raise my author profile. In closing, here is Christelle chatting about the South African Broadcasting Corporation's use of online and social media to expand on news covered by radio and TV. In future, I would also contact this department, and others like it, to pitch my story. I've done several radio interviews. I did see an increase of sales from them. I've not done many media interviews, at least not live ones. I imagine pitching an idea to them is difficult. It's hit and miss, and it's a hard slog. If you push it too much no one will "see" it but if you don't then the same thing happens. But it's all in the pitch which is very difficult. unique and informative experience! thanks for sharing it! i looked into advertising on the radio with the help of a friend and i found out it was expensive and probably not a good way to go about it - but she did give me some great numbers on which station to use to reach the most readers from their listening audience. I used to host a blog talk radio show and never saw an increase in my sales, but some of my guests did. You provided a lot of good information and advice. Thank you for participating! This is an interesting twist on getting media exposure. I think a lot of times the media sees a plug like this as free advertising and they avoid it. If there is a local angle to the story then it helps a lot. Media reviews probably help more to sell books, but they are tough to get when self published. Very informative post! Some people told me that it took weeks before they received word from the media; others were lucky and had a good response in a day or two. Thanks for sharing this info! Very interesting, Damaria. I think I hesitate to go for interviews and such because of the demands that might develop. I did a television interview that led to the national library buying 60 copies of one of my books. Since they aren't in print now, that would be a challenge to do again. Thing is that, in Jamaica, not that many people have bought into ereaders yet. Thank you for sharing your experience. As a writer who HASN'T tried getting much promotion in traditional media (my focus is primarily online), it's good to know how it turned out for you. Thanks for sharing your experiences, very interesting. @Sherry Ellis – I’m glad it worked out for you, led to significant increase in sales. @ Alex J. Cavanaugh – yes it is. But the one thing we seem to forget is that they need interesting stories every day fill the slots. So when you do have a story idea that works and you present it in a way that they get? You’re like the second coming, especially because it IS hard to fill these slots with quality content. @Rebecca – It is a hard slog, and sometimes it’s hard to tell what will work. The one piece of advice I’d give from my own experience is, study the person who you’re approaching as thoroughly as you study the programme you want to pitch. Journos I’ve worked with are idiosyncratic creatures and sometimes it is about them.. or rather what they like and think works. @Tara – You’re right. Advertising on radio is expensive, and as you saw on my post and from other bloggers, not all of us got fantastic returns for our 3 seconds of fame. So I’d also be careful about what returns you’d get from that. @ Yolanda – thank you. That means a lot coming from a former radio host. @ Lee – You’re very right. That is why I advocate against press releases. They see it and they’re like “Oi! Another non-story!” And if that plug includes the words “revolutionises, ’‘fresh ideas” or “innovative,” to describe something, then all the more reason to dump it. @JL Campbell – Congratulations on translating a TV interview into a sale of 60 copies. You must have impressed them a lot. I hear you about Jamaica not being into ereaders yet. 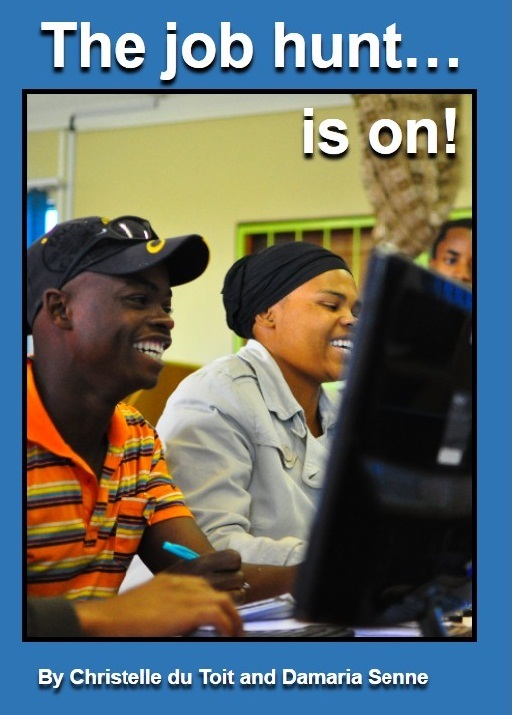 There is a strong adoption of ereaders in South Africa, from what I hear, but we are still starting from a low base. So, books still need to be in print too, and we had several orders for How to to get quoted in the media from organisations who wanted print copies. We ended up printing a batch for them. @Carolyn – thank you for coming by. Thanks for sharing. Very interesting and quite and eye opener. LOL! Exacty how I felt when you talked about book tours. @marnie - my pleasure. Thanks for coming by. I often wonder about press releases for new books. There are so many books coming out daily, I bet they'd have to be top-notch to get any attention at all. Radio sounds intriguing, and if it makes sales, more power to you! @Michael Offutt - My pleasure. @M J Joachim - Exactly why I don't like press releases. Too many of them being sent to the same journos, and they all look the same, so they get ignored, even the ones that could have potentially yielded a good story. 3. When I review children's and YA ( which I haven't done in a very long time), it was usually about what my teen enjoyed. Very subjective. Very personal. Not a standard review at all. Were I her, I would have gambled on a pitch to me, possibly with the mention of Baby (my teen). But that requires a lot of time to study every potential pitch like that, and sometimes only to find out that they have no point of entry afterall. Seems like your idea of using radio, TV, and print to raise your author profile is a good one. I have heard many author interviews (esp. on NPR). Typically it is one piece in the PR blitz that sways me, not the only piece. If I hear an author interview about a book that sounds interesting, then see a print article about it, and hear my personal or online friends raving about it, there comes a point where I have to give in and read it! @Kim Van Sickler - Very true. We authors have to be persistent and continue to communicate our message in multiple platforms. those are one of those things were you think, dang, I better be able to think on the spot!! newest follower, hi!! @Kimberly - like many writers, I'd rather be writing than promoting. When I write, at the end of the day i have X words that contribute to a concrete product, be it a book/article/blog post etc. Marketing and promotion on the hand, it feels like harder work, yet at the end of the day, I don't have a concrete product that I can point to and say, THAT is what I worked for today. Though I must say, seeing many people from the Online Marketing Symposium follow me has been very rewarding. Thank you guys. @Tammy Theriault - Hi! *waves*. I like doing live interviews on radio and TV. They do have an impact on sales and they're fun. You must have written an excellent hook and, of course, your explanation that your contact was a one-time communique had to be positive. Nobody likes to be bugged. Great article.